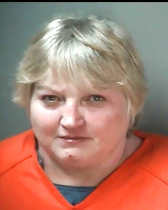 (BLOOMINGTON) - 54-year-old Dorothy Axsom will spend the next two years and three months in prison for the 2006 starvation death of her 25-year-old disabled daughter, who was totally dependent on Axsom's care. Axsom pleaded guilty Tuesday of neglect of a dependent resulting in serious injury. Under terms of a plea agreement, the state dismissed a charge of murder. Monroe County Chief Deputy Prosecutor Bob Miller says investigators' initial contention that Axsom intentionally starved her daughter to death, but Casey Azsom had been taking a drug for her epilepsy which can result in "rapid and significant" weight loss, and probably contributed to her death. Since it was a prescribed medication, Miller says the state found Axsom failed to provide reasonable care to someone who was bedridden. To prove murder, the state would have to present evidence beyond a reasonable doubt that Axsom intended to end her daughter's life. Monroe Circuit Judge Teresa Harper sentenced Axsom to 16 years in prison with 10 years suspended. She will receive good-time credit, which means she will serve just half of her term. Subtract the time she has served at the Monroe County Jail since her arrest last year, and Axsom ends up with 819 days left behind bars. She will be on house arrest for a year after her release, and on probation for nine years after that. According to court records, in May of 2006, Casey Axsom died from starvation at a home on Weimer Road where she lived with her mother. Completely disabled by cerebral palsy and epilepsy, she was not ambulatory and could not care for herself. According to the coroner, Casey weighed just 50 pounds when she died. An expert in the care of endangered adults consulted during the investigation said the Axsom case represented the worst case of neglect he had seen in 20 years. The coroner who conducted the autopsy said Casey Axsom had experienced "severe starvation for some time." Police reports indicate the Casy also suffered from deep, open bed sores and was emaciated when she died. "Our position is that she is responsible for her daughter's death," Miller said at the time of Axsom's arrest. "Clearly, she was in charge of her daughter's care and she deprived her of food and starved her." But Miller say he could prove "beyond a reasonable doubt" that allegation because of the medication Casey was taking. "The neglect resulting in serious injury was a more appropriate charge and something we could prove," Miller said. "Clearly this was a case of severe neglect." Police did not charge Axsom with causing her daughter's death until five years after she was found lifeless at home. Monroe County Sheriff's Office Chief Deputy Mike Pershing said in 2011 that detectives worked diligently over several years to compile evidence against Dorothy Axsom.